Happy Family Spending Time Together Outdoors. 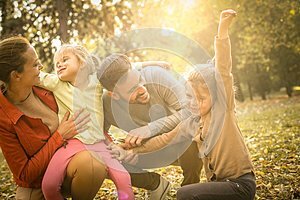 Photo title: Happy family spending time together outdoors. Happy family spending time together outdoors. Family in nature together.